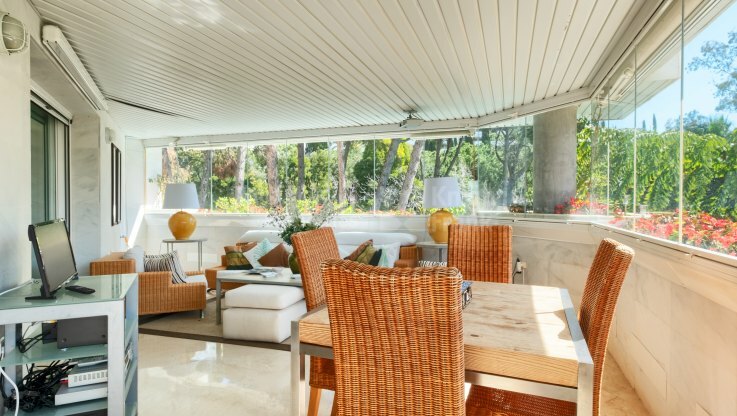 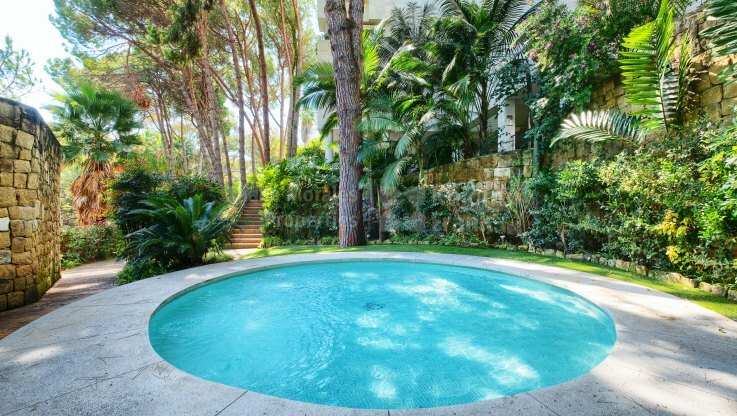 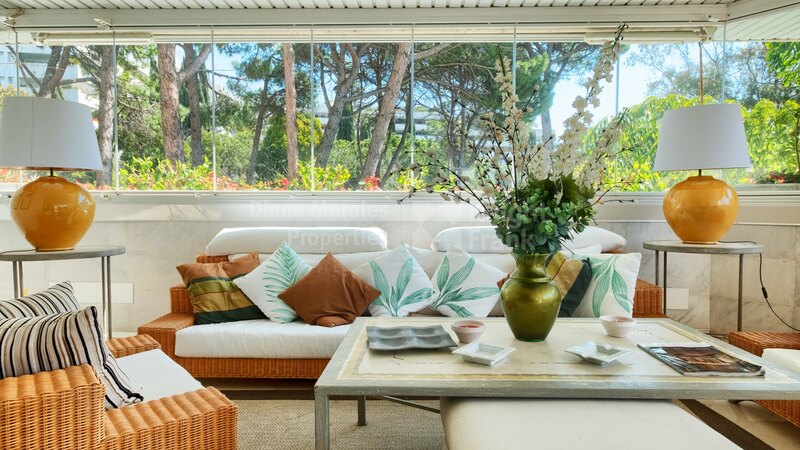 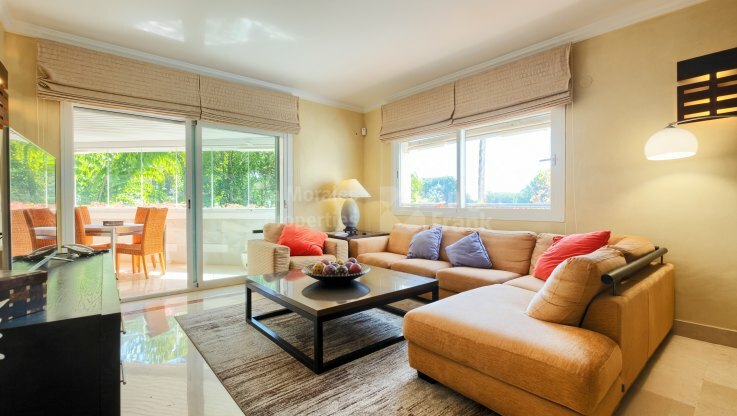 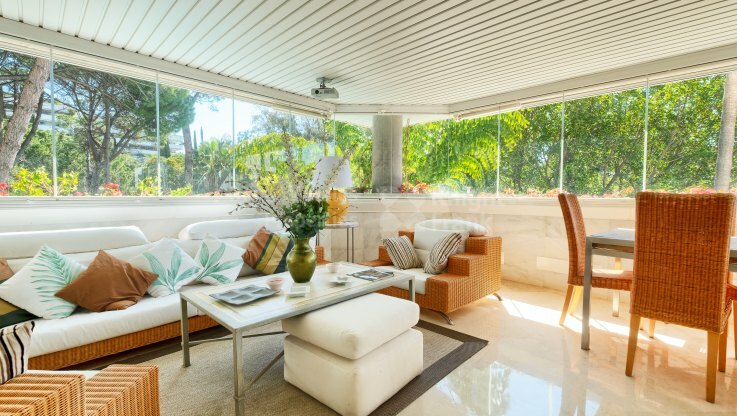 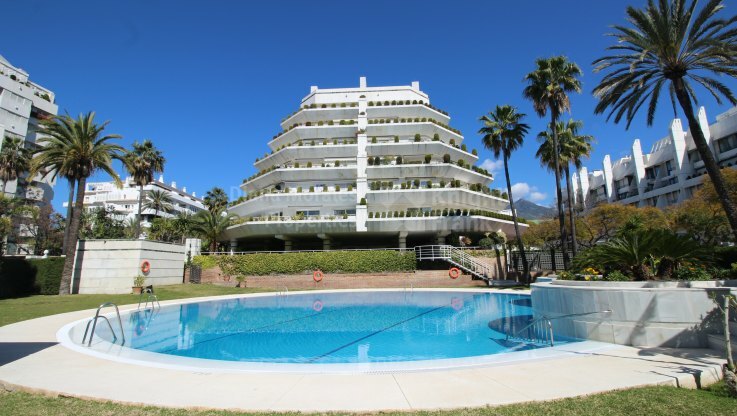 Please, send me more information about ref DM1489-244 in Jardín del Mediterráneo, Marbella or similar properties. 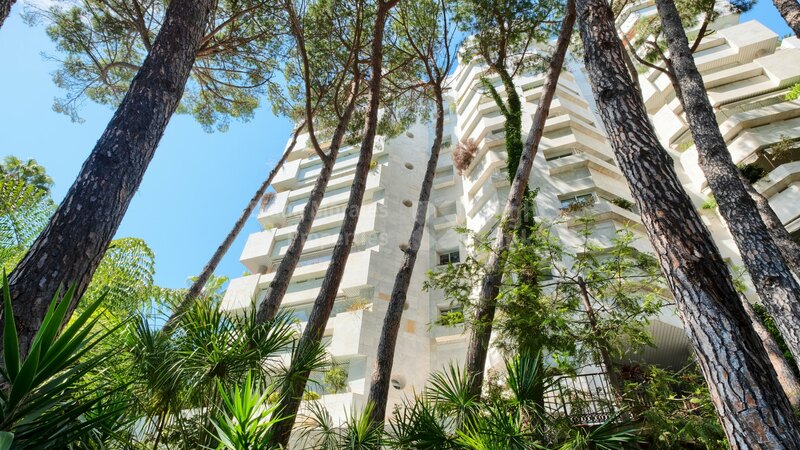 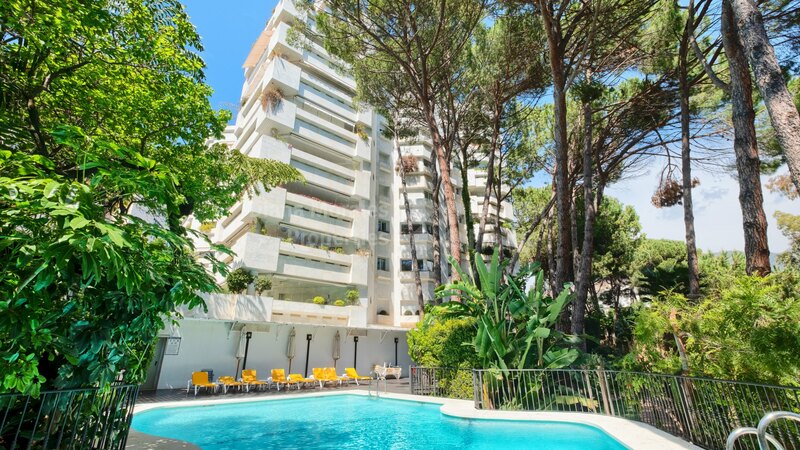 The beachside complex called Jardines del Mediterraneo was built in 2003 using high-end standards and top qualities in the interiors of the properties. 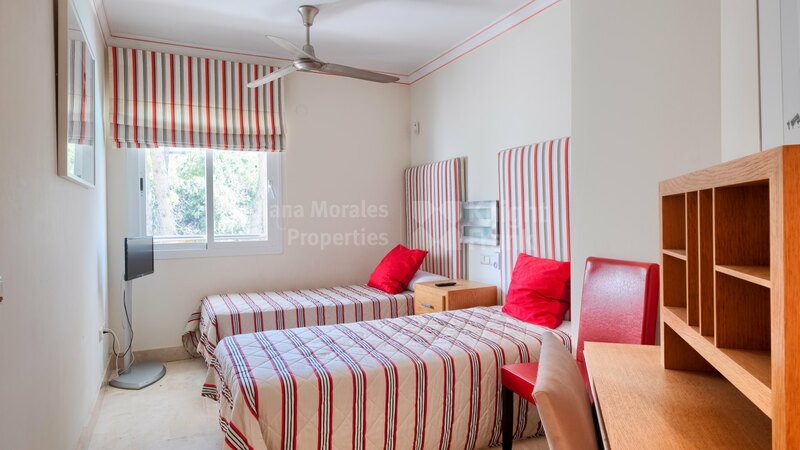 It is situated just a stone throw from the beach. 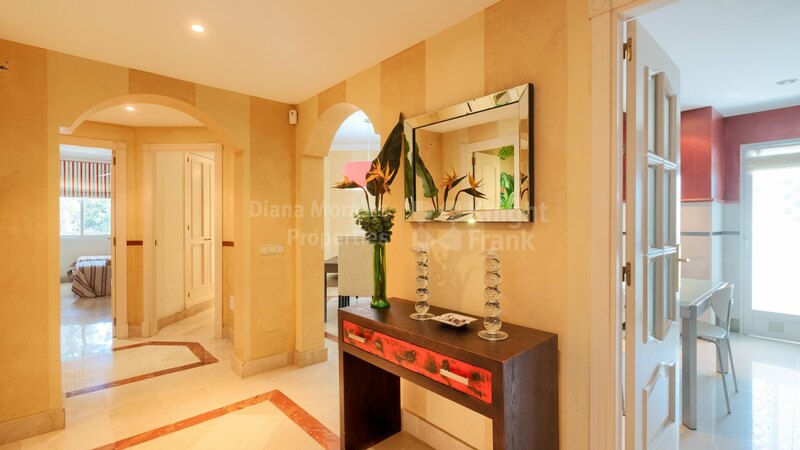 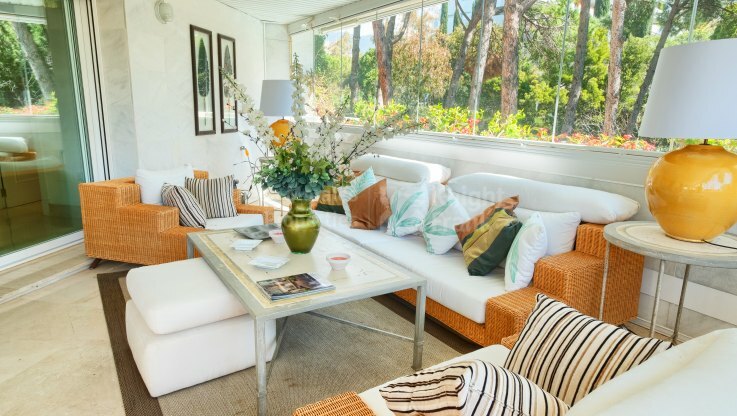 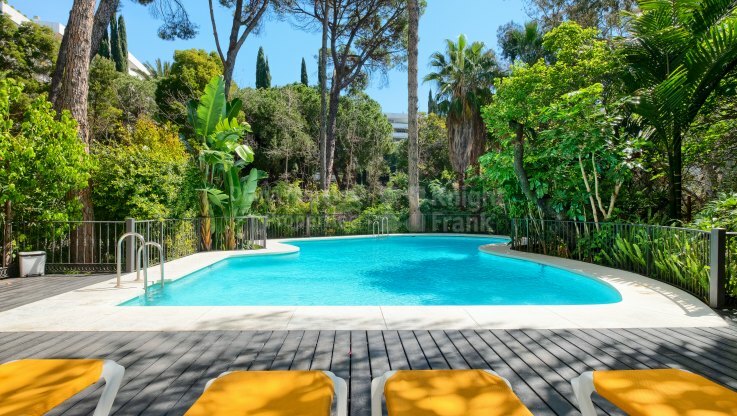 The extensive communal entrance hall with concierge service and two elevators, communal pool, large hot tub and pine trees garden add value to the property. 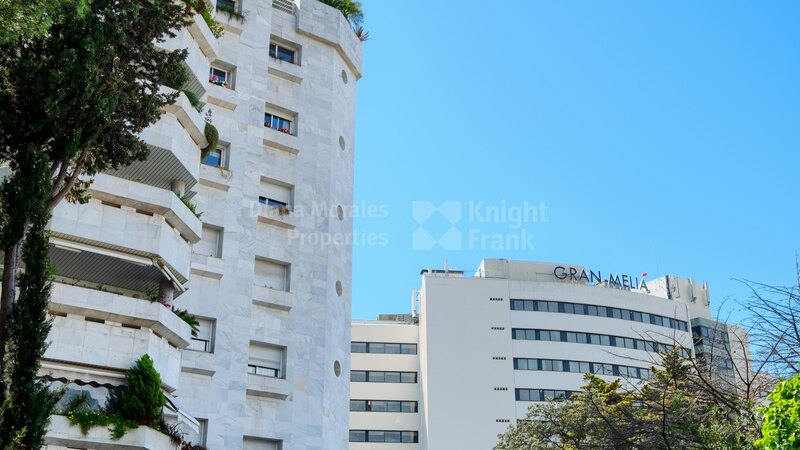 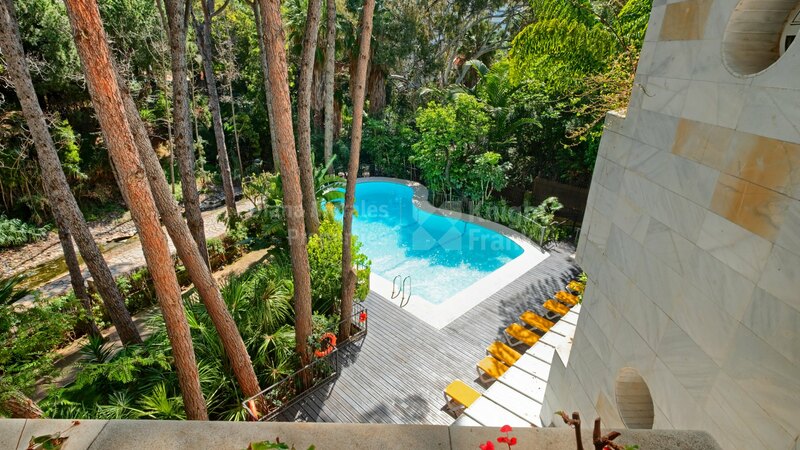 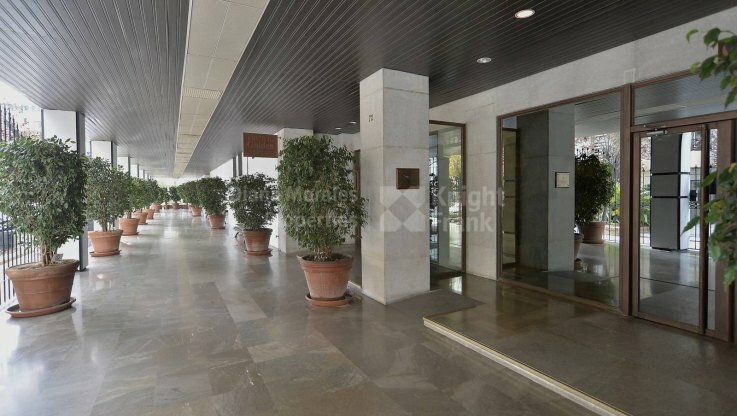 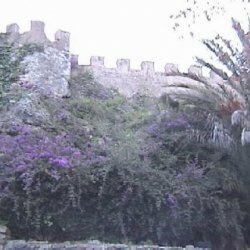 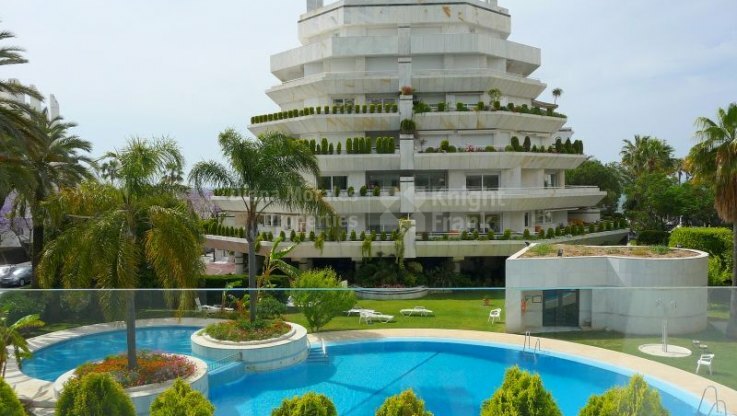 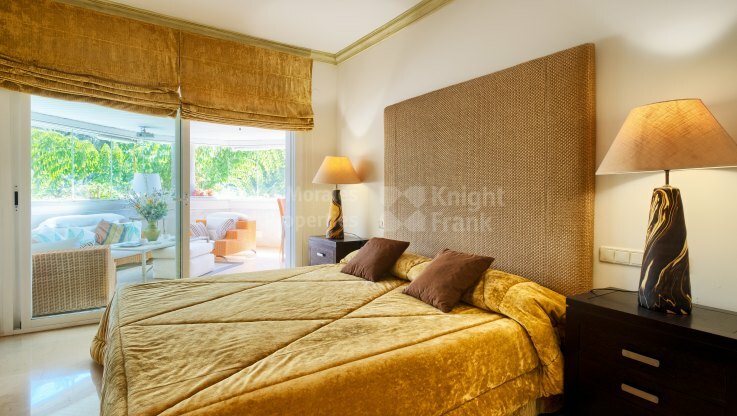 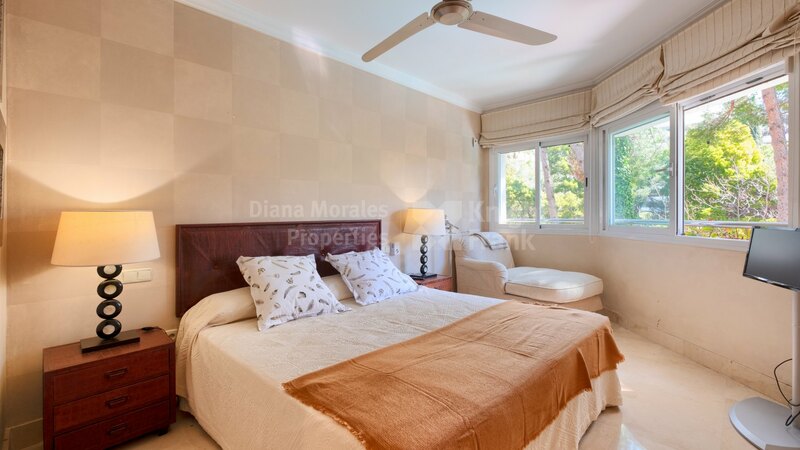 Short walk away to Marbella town centre, shops, restaurants, supermarkets and services. 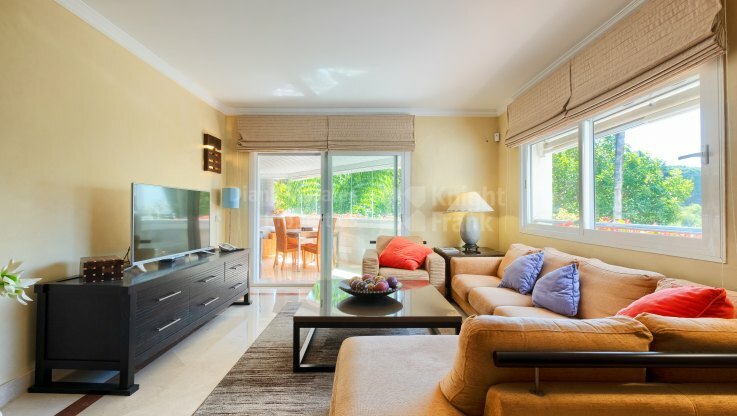 The south facing apartment features entrance area, guest toilet, lounge /dining room with exit to a spacious glazed terrace shared with a master bedroom suite. 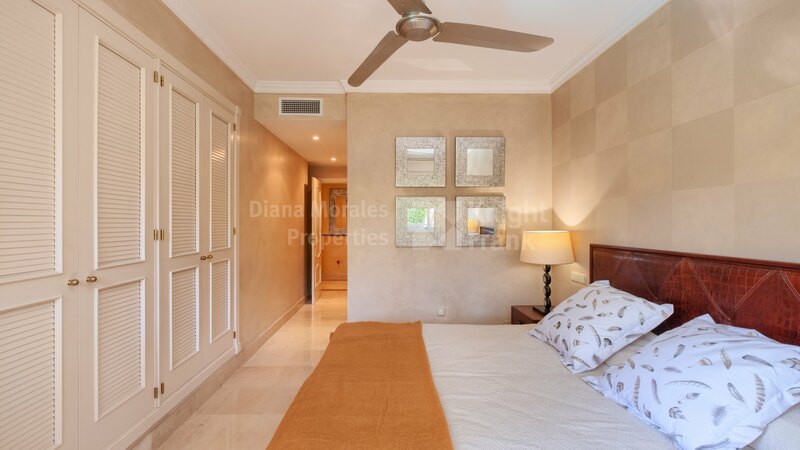 There are two more bedrooms, one with bathroom en-suite and one with separate bathroom. 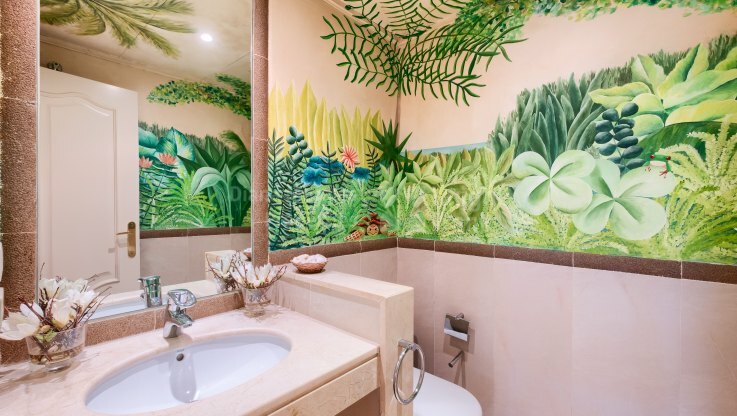 All the bathrooms feature bathtubs, except the master one which in addition includes a shower cubicle. 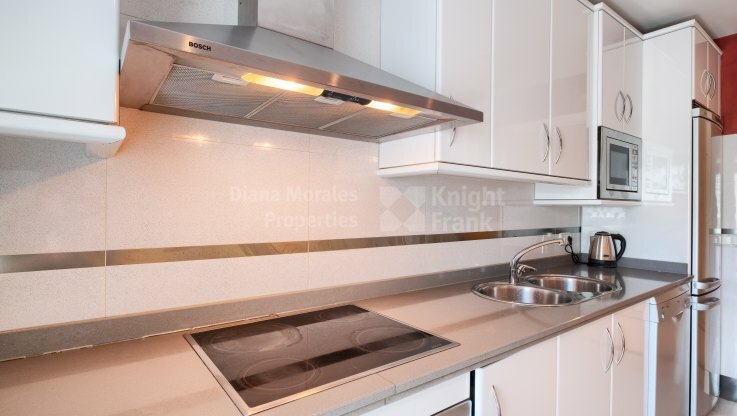 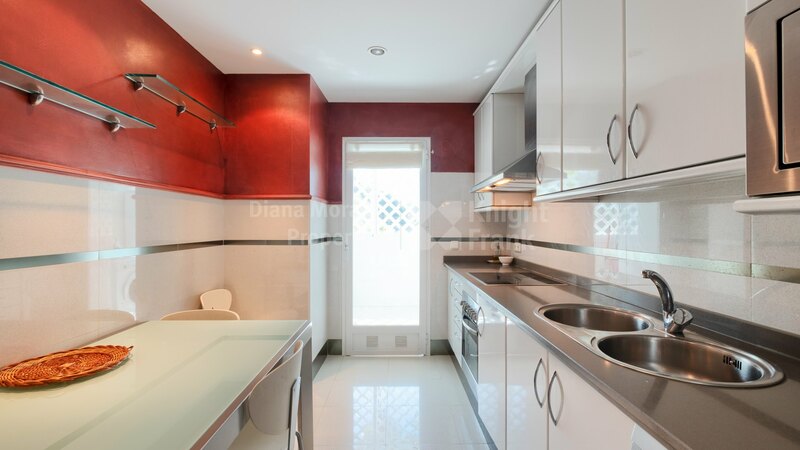 A fully fitted kitchen is equipped with Bosch appliances and has an adjoining laundry room. Besides the unit boasts under floor heating in the bathrooms, air conditioning with heat pump, marble floors and comes with a garage and storage.